Minecraft is helping Microsoft employees get familiar with the company's upcoming campus revamp well before it's completed. 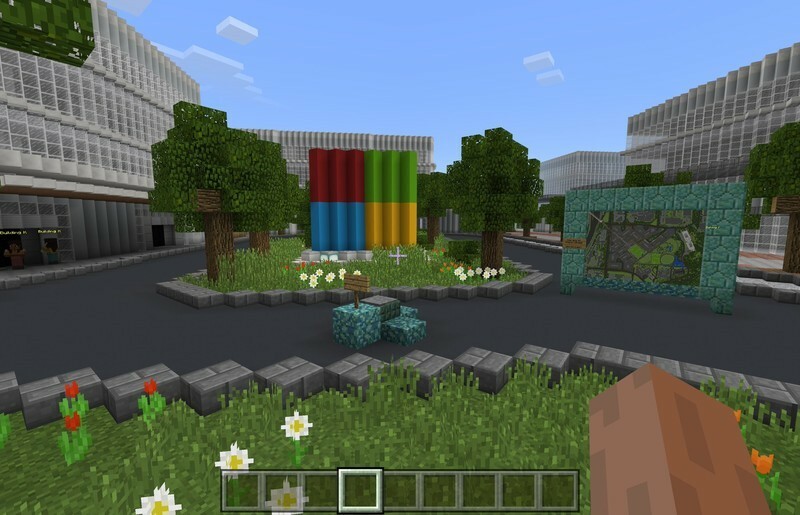 As first reported by CNBC, Microsoft used the popular blocky sandbox game to construct a preview of the overhaul, intending to give employees a way to check out the campus' new layout before its expected 2022 opening. To get the project started, Microsoft tapped Blockworks, which specializes in leveraging Minecraft's digital world to preview real-world projects. While Microsoft already has plenty of detailed renderings that show off the shape that the finished project will eventually take, Minecraft offers a unique opportunity for employees to explore the changes ahead of time – albeit with compromises due to Minecraft's signature blocky style. Microsoft announced its planned Redmond campus overhaul in November of last year, revealing 18 new buildings and 2.5 million square feet of new office space. The project will also involve tearing down older buildings that no longer fit Microsoft's needs. In total, the revamped campus will end with a net increase from 125 buildings today to 131 buildings once things wrap up in 2022.